There is little else better in this world than a fresh blow-dry or a new cut; nothing looks slicker than freshly-cut blunt ends- whether you’re a grungey girl or a chelsea trustafarian. As a beauty writer I regularly catch myself eyeing up the ends of girls’ hair on the tube, and with blow-dry bars popping-up everywhere, great hair is fast becoming a London must. 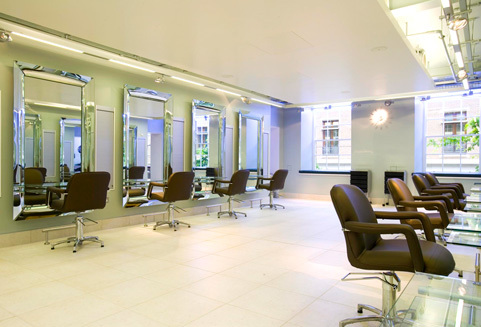 Consequently I felt the time had come to test the best of London’s salons- from Central London to North of the river; hard toil but someone had to do it! The name Richard Ward is one I have often heard thrown about, unsurprising really, considering he has styled the hair of the Duchess of Cambridge, Elizabeth Hurley, Dasha Zhukova, Kim Cattrall, Jenson Button and the Al-Fayeds. 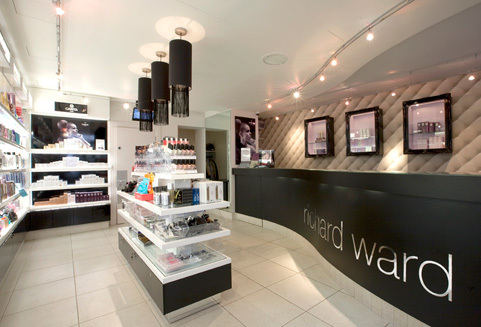 Revered by Vogue and Italian Vanity Fair, The Richard Ward Salon exceeds all expectations. 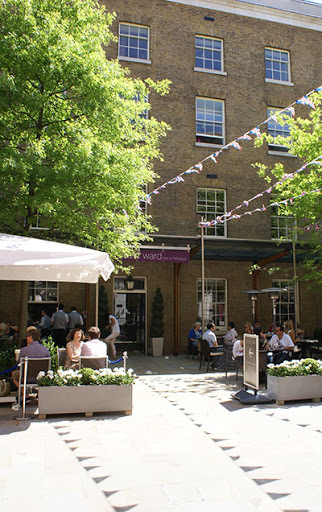 Situated in the King’s Road’s Duke of York Square, adjacent to the Saatchi Gallery, the outside tables amidst the leafy courtyard, make it is easy to mistake the four-storey edifice for a Michelin-starred restaurant. Upon entering the mega-salon, I walked through to the giant reception that had around four ladies manning the desk. After giving my coat to a lovely cloakroom lady holding a pin cushion (perhaps she’d mend my coat?) I was taken upstairs to the waiting room, which was home to the bar. After waiting for around five minutes ( I was a little late so it was not a problem) I was taken through to the Hair Zone a huge space with beautiful mirrors framing each station. I’ve never been to a salon so big (Ward has a team of 80) and I was initially a little overwhelmed, I was sitting in a seat that had seen Royal bottoms after all. However, as soon as I met my hairstylist Sabrina, a senior stylist, I was immediately at ease. I instantly connected with her, she was warm and funny and asked me about my hair history and what results I wanted from my visit. I felt I could talk very honestly with her about my abuse of my hair and she offered me plenty of advice about treatments and techniques I could adopt at home; I instantly felt as though this would be the first of many a visit. After we’d discussed my hair needs, I was taken through to the cleanse zone fit with Japanese reclining chairs and plasma screens showing wildlife videos. My hair was washed by a junior named Jordan, who was very entertaining and talked me through what he was putting on my hair and checked that the pressure and temperature was ok, which is always nice. Sabrina then blow-dried my hair straight with the help of a Mizani oil, which is still keeping my hair soft; and then gave it a quick whizz with the straighteners. I was given a trim and had my fringe re-styled into a more sweeping style, which I love. Afterwards I was given a quick spritz and escorted back down into the reception area/shop. Days later, my hair still feels silky smooth and the perfect cut means that my hair now does as I ask. I had such a great time and despite not being a Duchess, feel truly spoilt. 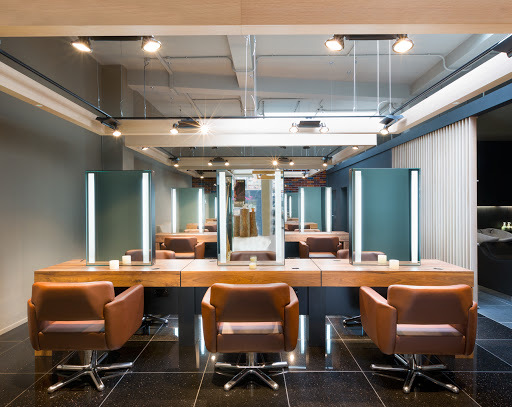 Cleanse, condition, cut and finish starts from: £55; £95 for a senior stylist. 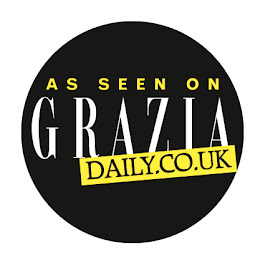 Founded by legendary hairdresser Paul Windle, who was later joined by Neil Moodie, Windle & Moodie are hairdressers to the stars and their wall of Vogue covers and magazine editorials (which is all their own work) is testament to this. Between the two of them they have styled for Vogue, Elle, Testino, Demarchelier, Jeurgen Teller, Kate Moss, Demi Moore, Naomi Campbell, Victoria Beckham, Alexa Chung and Natalie Portman to name a few; so I was in for a treat. From the exterior Windle & Moodie is fairly unremarkable, but as soon as you step into the light-filled lobby you know you’re onto a winner. After a warm welcome and gown change, I sat at the giant table, filled with refreshments and magazines alongside some very chic clients, as I waited to be seen. As I was led through to the main salon I swooned in awe at the magazine covers that lined the walls and staircase. Paul Windle himself then came over to give me a consultation, considering he has cut Bianca Jagger’s hair, he was just the loveliest guy- warm, funny and friendly. A junior then took me to get my hair washed in what has to be the coolest wash room ever. Almost pitch black, except for blue neon lights, I was beyond relaxed as I reclined in a massage chair to calming music and my head was massaged by my stylist, an extremely funny young Italian chap. When I returned to my seat, my usually unruly curls lay flat, all thanks to many a Bumble & Bumble product. After my hair was blow-dried straight and then touched up with WAM straighteners, Paul and I decided to go for a blunt side fringe and trim. I’m pretty unadventurous when it comes to my hair- for fear of having a Britney moment- but confident I was in the safest of hands I went for it, and it looked great. I left the salon feeling incredible, my hair was light, soft and bounced all the way home. As the first of my salon appointments I was pretty sure I was ruined forever more and I would never be as pleased with a salon experience as I was that day, even now I have the fondest of memories. Hair cut and finish, priced from £45. I was fortunate enough to have already visited the Gary Ingham Spa & Salon for an express mani-pedi and hot wax, which as you may remember from my hollywood wax review, was pretty spectacular, so I had high expectations for my blow-dry. I was fairly cruel to my hairstylist Frederic Belanger as I walked in and told him I only had 30 minutes to spare. Anyone who has ever styled or seen afro hair, knows this is an impossible request, but he rose to the challenge and literally moved at lightning speed. Upon seeing the divine wash room, I instantly found myself in a bit of a pickle, as I was severely conscious of the time, but was so relaxed. 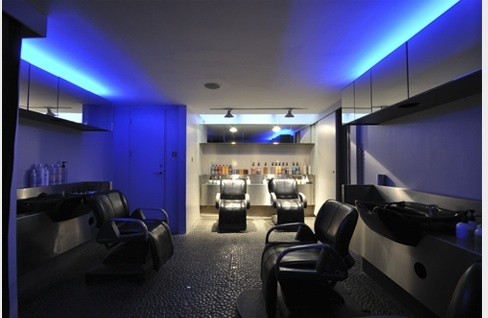 The intimate wash room was dark and fitted with reclining chairs. As Aveda products were massaged into my hair, I was beyond caring about the Margiela party, I was in heaven. Frederico went to work straight away, manically blow-drying in the hopes of getting through my mass of hair in the ridiculous amount of time I had allotted, but he did a great job, and still managed to converse with me. I was washed and blow-dried within an hour, which in itself is a huge feat. The result was a glossy featherweight finish and had all the heads at the MMM party turning. Irregardless of the time, Frederic was wonderful and I would recommend his speedy accuracy to any and everyone. Woman’s cut and finish starts from £55. Thank you so much Alicia. Glad you found it helpful!